The U.A.E. hosts about half of the two million expatriate Catholics living on the peninsula, home to the birthplace of Islam in neighbouring Saudi Arabia. The community includes large numbers of people from the Philippines and India. 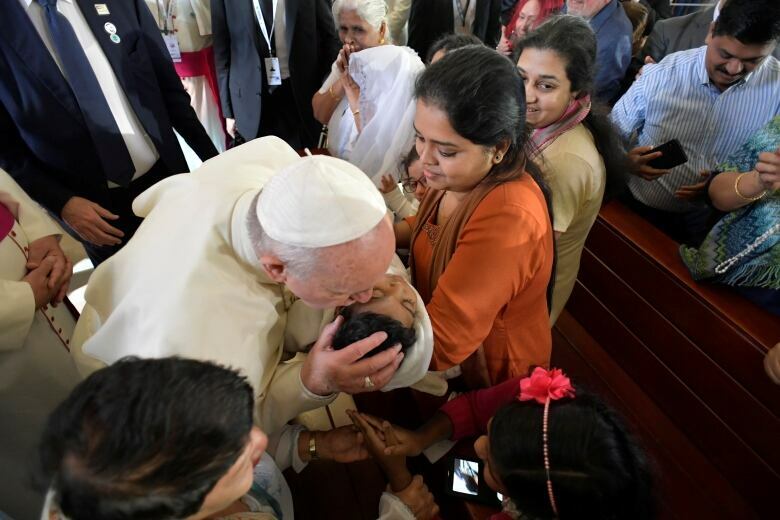 "It is most certainly not easy for you to live far from home, missing the affection of your loved ones and perhaps also feeling uncertainty about the future," the Pope said, telling the audience to draw inspiration from Saint Anthony the Abbot, the founder of monasticism in the desert. "The Lord specializes in doing new things; he can even open paths in the desert," he said at the end of a trip where he met with the grand imam of Egypt's Al-Azhar mosque and U.A.E. leaders. "We are a long way from home and this is like a comforting blanket," he said, holding his three-year-old son Marcus. 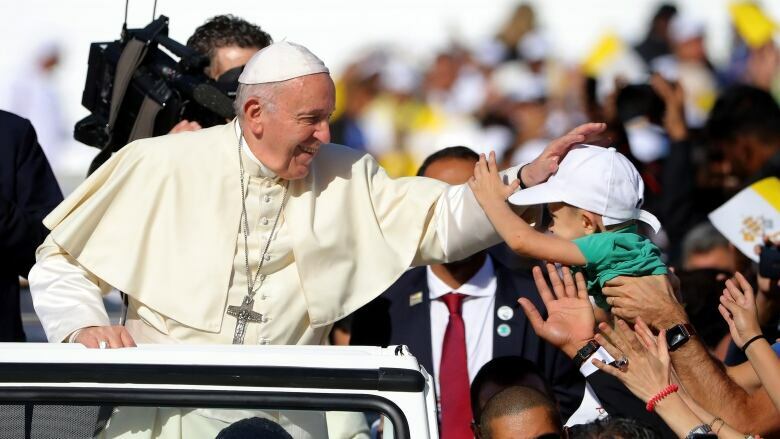 The Pope, who arrived on Sunday at the invitation of Abu Dhabi's crown prince, has used the visit to condemn regional wars, including that in Yemen, the poorest country in the Peninsula, where the U.A.E. is involved as part of a Saudi-led military coalition. He also called for greater cooperation between Christians and Muslims. "I am not sure what will change: time will tell — hope, hope," she said. 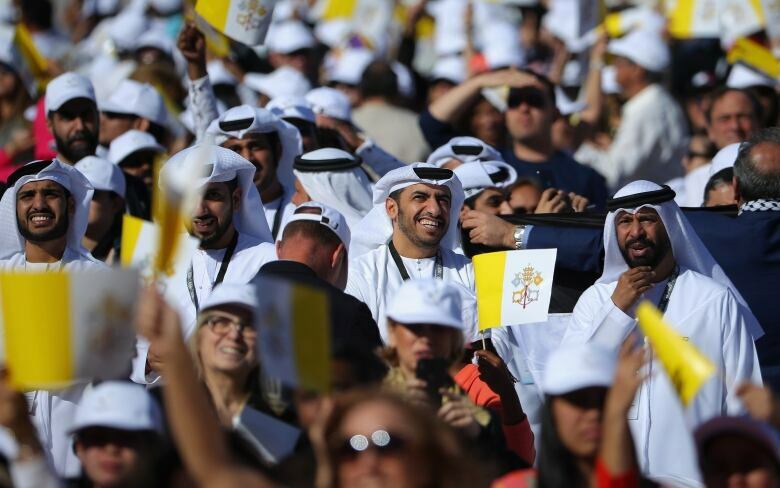 During the service, the Pope spoke in Italian and English, which is widely spoken in the U.A.E. where expatriates outnumber Emiratis 9 to 1. The congregation prayed for migrant workers and their families and for the ending of wars. "It's a dream come true. 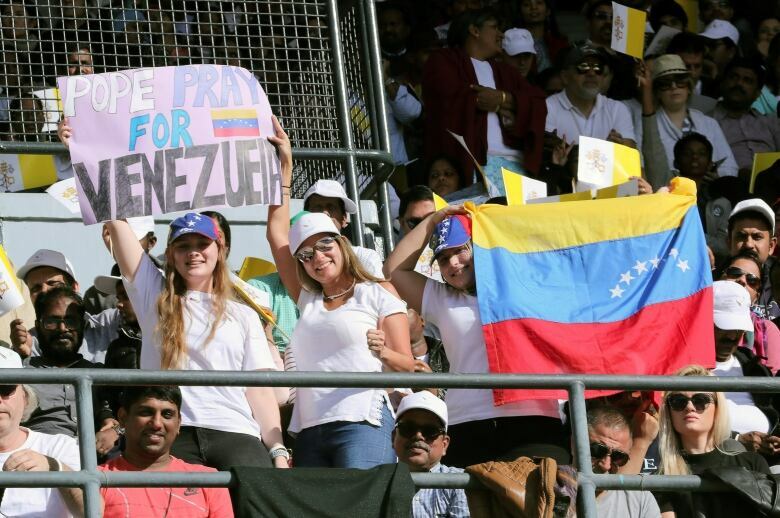 I feel blessed," said Rio Chavez, a 40-year-old security officer who has been in the U.A.E. for five years. He had called his wife and mother back home in the Philippines before the mass so the Pope's message about being far from home and loved ones had resonated for him. A central part of the Christian faith, the mass commemorates Jesus's Last Supper with his apostles on the night before he died. "Given the number of Catholics, there is a dire need for more churches in the UAE," he said, voicing hope that Saudi Arabia, where churches are banned, would also allow them.